First you have to check out The Baby Store Plus Blog! The blog is new, but the wonderful blogger is not. She has wonderful information to share and you won't want to miss it. Plus, right now she is having a giveaway for $50 giftcard. While your at it you should check out The baby Store Plus. Lots of great items for baby and mom. So go enter today! The giveaway ends March 1. 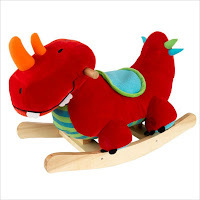 Isn't this a cute little dino rocker? Jayden would love this and I am sure your toddler would too. You can win one at Sevin Family. This ends February 18. 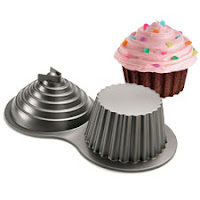 I would LOVE to win this giant cupcake Pan and cupcake stand. This would be wonderful for Jayden's upcoming birthday. Cupcakes are so easy in place of a cake. If you want to enter to win go to Familylicious Reviews, but it does end TODAY so hurry! The Crane Frog Humitifier is great for Jayden's allergies. I would love to get this for his room. To enter to win go to Energizer Bunny's Mommy Reports. This ends on February 14. 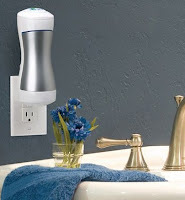 My Organized Chaos is hosting a giveaway for the Germ Guardian Pluggable Air Sanitizer. This giveway ends February 21. I love this ring, it is hand stamped! I would love to actually get a 2 ring set with Jayden's name on one and his birthdate on the other. You can also find great necklaces and more at their site. So check out the giveaway at Leslie Loves Veggies for $100 to the store. 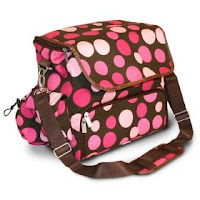 Apple Cheeks is having a giveaway for one of their mini test kits & a size 1 storage sac. Plus 3 more people will win one of the size 1 storage sac's. 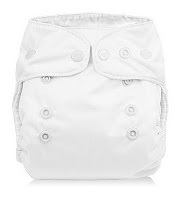 Just visit A Reusable Diaper Revolution, this ends February 14. 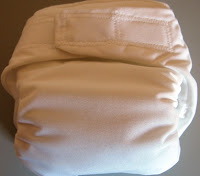 I LOVE softbums diapers and Newly Wed, Newly Bred is having a giveaway for one. And now they have a super cute new print. The giveaway ends February 20. 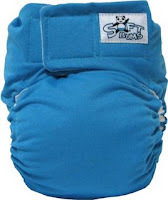 Kim @ Dirty Diaper Laundry is hosting 2 diaper giveaways now. The Get Cheeky One Size diaper cover is so cute and you get to pick the print and color of trim.This one ends February 15. She also has the Rocky Mountain One Size Diaper. 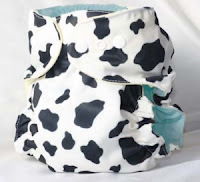 This diaper is so cute in the cow print! This one ends on my birthday, February 22. While at her site don't forget to read all about Operation Fluffy! Also, don't forget to join the I Want Cloth Diapers on The Ellen Show facebook page. 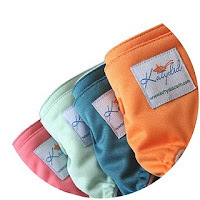 There is the Booger Butts that ends March 3, the Katydid diaper that ends March 1, Rockin Green Soap that ends February 21, The WeeOnes by JaJoC training pants that ends February 23, and the Nifty Nappy Gift certificate for $35 that ends February 28. 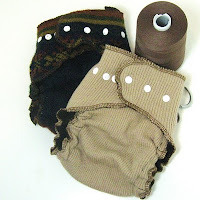 Also Surban surviving Mama is hosting a Smartipants giveaway that ends February 24. OK so that is another huge post of great giveaways! Go enter now! She's Sophias aunt. But we never got along with the exception of a few months. She continuously lies and makes things up about people and is completely rude and disrespectful. If you tell her "I dont want you giving this to Sophia" or "I don't want Sophia doing that" she completely disregards it. Whether you're there or not. Which is why she can't see Sophia. And that's Sophia's dads sister and HE agrees as well. But thank you for reporting her for me. I really appreciate it. Hello! Thanks for stopping by my blog tonight! I had to come check out your numbered comments! :) Awesome! I'm glad that it worked for you!! Have a great night and Happy Valentine's Day tomorrow!